I love my Apple Watch Series 3, but there’s one thing about it that annoys me: that red dot on the Digital Crown. However, just because Apple thinks you should be stuck with a giant red dot on the side of your wrist, that doesn’t mean you need to put up with it. 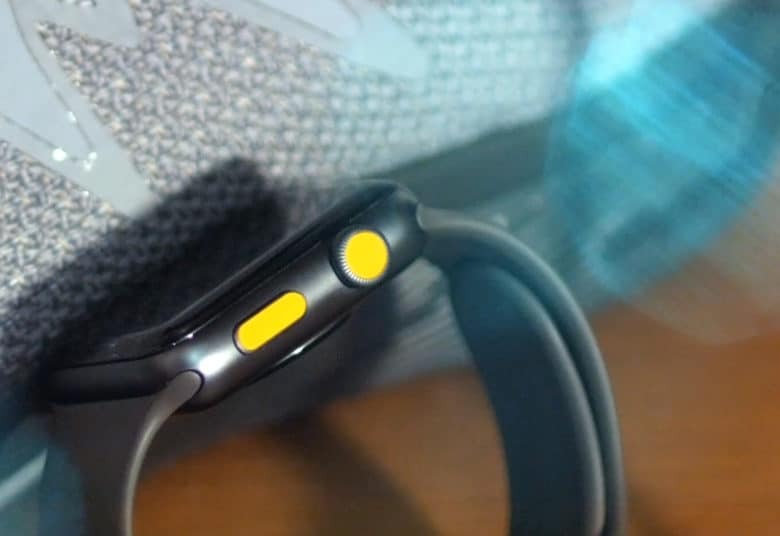 You can customize Apple Watch with a cool accessory called WatchDots. I went for the LTE version of the Apple Watch because I wanted to have a signal while swimming or working out, without having my iPhone stuck to my side. And it works great. 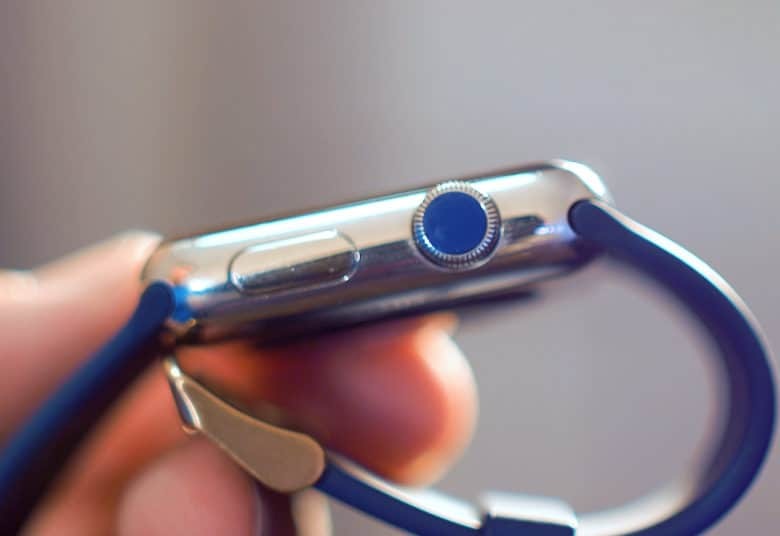 But the downside is, if you pick up an LTE Apple Watch, you’re forced to have a red dot on the Digital Crown. 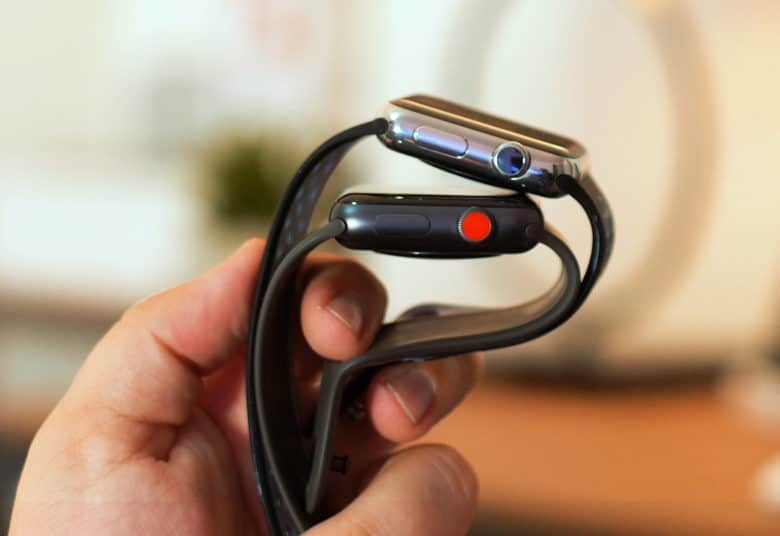 The dot distinguishes the LTE Series 3 model, but red isn’t for everyone. It might not sound like a big deal. My original stainless steel Apple Watch bears a black dot on its crown, and that never bothered me. But the thing is, the red dot doesn’t match or complement anything I wear or use … except maybe my camera gear. As silly as it may sound, I like my watch to match whatever I’m wearing. In addition to my two Apple Watches, I own several analog watches I’ve purchased over the years for different occasions. And while changing bands gives the Apple Watch some chameleon-like capabilities, the red crown screws everything up. In fact, I won’t wear my Series 3 watch if I’m wearing something that clashes with the red dot. I’m by no means a style icon, but it is something I think about. A simple idea comes in simple packaging. In comes WatchDots. This stylish accessory lets you customize your Apple Watch crown — and even its side button if you wish. The stickers come in more than a dozen colors and are precisely die-cut to size. They perfectly cover the Digital Crown, so they’re a great way to personalize Apple Watch. 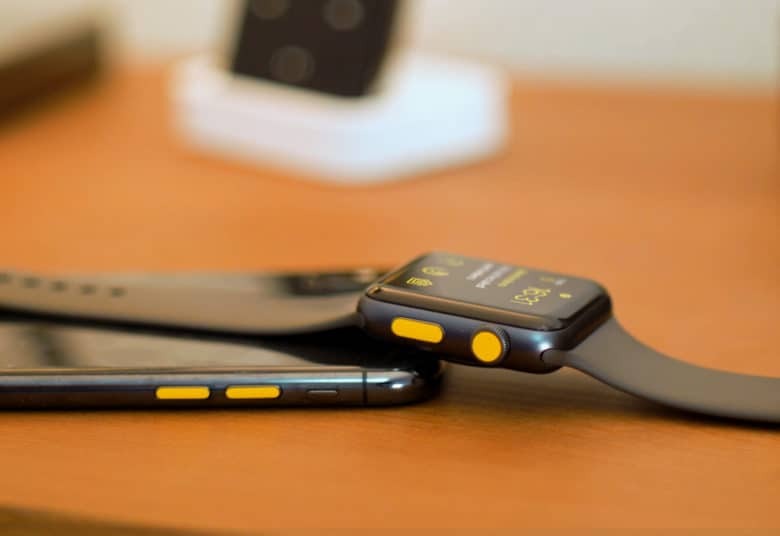 If you’re not the kind of stickler who wants to match your Apple Watch to your clothes, you might at least want it to match your strap. For example, if you have a green Apple Watch band, the red dot may not exactly complement it. But a green WatchDot will. WatchDots are simple to apply. Just cut out the one you want, apply it to the Digital Crown or side button, and hold for 15 seconds. Then carefully remove the film to leave the vinyl sticker in place. I had no problems applying WatchDots to the Digital Crown. However, sometimes I found they wouldn’t stick to the side button. The easiest fix I found for this was to heat them up with a hairdryer, the same way you would with a product like SlickWraps. Once the WatchDots are on, they look factory-fresh (unless you’ve applied them badly). You can mix and match WatchDots to make your Apple Watch your own. In each pack, you get three sets of stickers for just under 10 bucks. I think that’s the perfect price, and equals great value for money. They probably would last long enough to get you to your next Apple Watch upgrade, but they’re just cheap enough that you can change up your look every week. 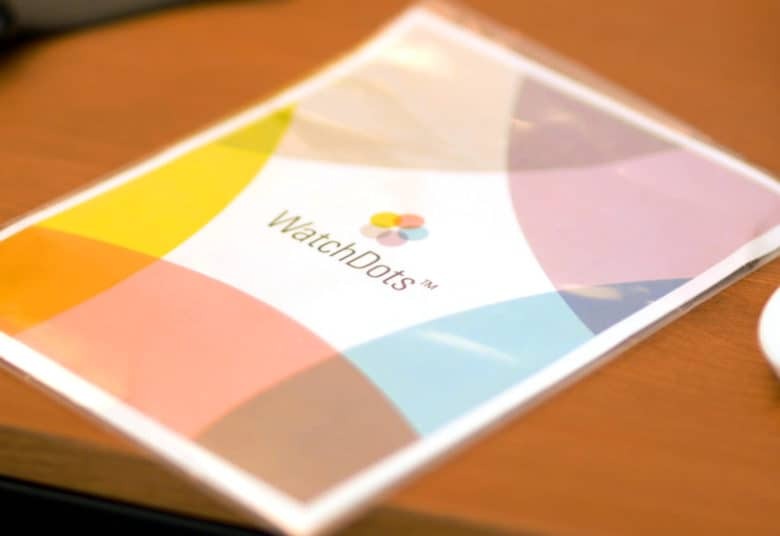 I haven’t tried WatchDots in the swimming pool, so I can’t attest to how they fair when getting wet, but they should be OK.
WatchDots is such a simple idea, it annoys me that I didn’t come up with it first. But it’s a great product, with even better customer service, so I’m glad someone more responsible than me thought of it. Even if you don’t have an LTE Apple Watch, WatchDots can hide scratches or match your bands. WatchDots provided Cult of Mac with a review unit for this article. See our reviews policy, and check out more stuff we recommend. Also, if you’ve enjoyed the video and want to see more, make sure to subscribe to our YouTube channel.